If you can dream it, you can do it right here! Disney, Orlando, Golf, right here outside your door at Orange Lake's West Village. If you can dream it, you can do it all right here, at OrangeLake’s WestVillage in Orlando, Florida. Lounge in the pool, make waves on a sparkling lake, play gold until sunset and experience the fun and fantasy of Orlando theme parks. We have it all! Accommodations atOrangeLake offer one-, two-, and three-bedroom villas, as well as studios and suites. And theWestVillage is in the center of it all! Then there is River Island, Orange Lake's newest addition. Spanning 12 acres of tropical scenery, River Island features two beach-style wade-in pools, two spas, and a lazy river-style pool. There are two walk-up pool bars for drinks and snacks, and water volleyball and basketball pool areas. During your timeshare vacation, be sure to visit Splash Lagoon with its wade-in pool, slides and interactive fountain, or one of the three other pool complexes at Orange Lake. If the beach and water sports are more your style, then you'll love the resort's lake complete with beach, volleyball courts, jet skiing, water skiing, fishing, and more. If you've come for the golf, you're in the right place. Orange Lake resort is home to four golf courses: The Legends at Orange Lake is an 18-hole Arnold Palmer-designed course; Crane's Ben is a 9-hole, par 30 course that winds around the resort's fountain lake; The Legends Walk is an Arnold Palmer-designed walking course; and The Reserve is an 18-hole, par 71 course that winds though a myriad of water, sand and rolling greens. All units and public areas at OrangeLake are non-smoking. You may smoke only on patios/balconies or the resort's designated smoking areas. Whether you’re interested in buying or selling your timeshare, a timeshare resale broker is your choice to a professional that specializes in timeshares. We have refined the process in order to make it a no stress, hassle-free experience. This is only one of many things that sets us apart from our competitors. Timeshare Broker Sales, can give you the assistance you need for buying or selling your timeshare as quickly as possible. Let us promote your timeshare property on the resale market.Call one of our licensed timeshare specialists today, and let's get started today to find that perfect vacation or assist you with any needs you might have. Timeshare Broker Sales is a licensed REALTOR®, and a BBB Accredited Business. 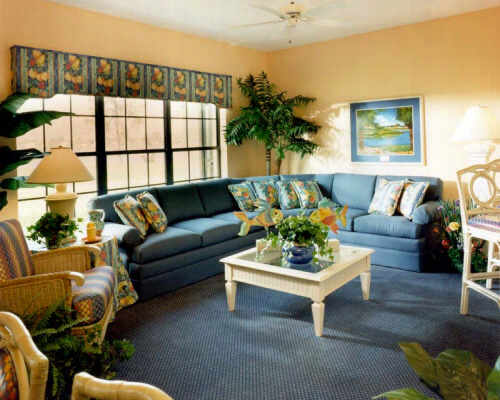 We are timeshare resale specialists and Brokers for Orange Lakes and Orange Lakes West Village, and have a complete inventory available. Call us today Toll Free at (800) 985-9946, and see what our customers are raving about! There is a difference in the service we proivide! So let us help you buy that perfect timeshare vacation on the timeshare resales market, and see how much you can save. Or, if you are in need of selling your timeshare, let us help you. Remember, as Licensed Timeshare Brokers, there are never any Upfront Fees!